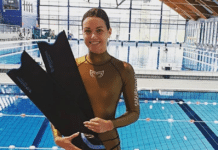 During the recent EUDI Show in Bologna, Italy I had the chance to catch up with one of the most famous men in modern Freediving – Herbert Nitsch. Nitsch, now 44 years old, was born in Vienna (Austria). 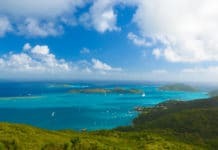 He attended the American International School in the Austrian capital and qualified as a pilot after many flight hours and type-grading in USA and Canada. This led him to work at Tyrolean Airways, part of the Austrian Airlines Group, for 15 years as pilot and captain. 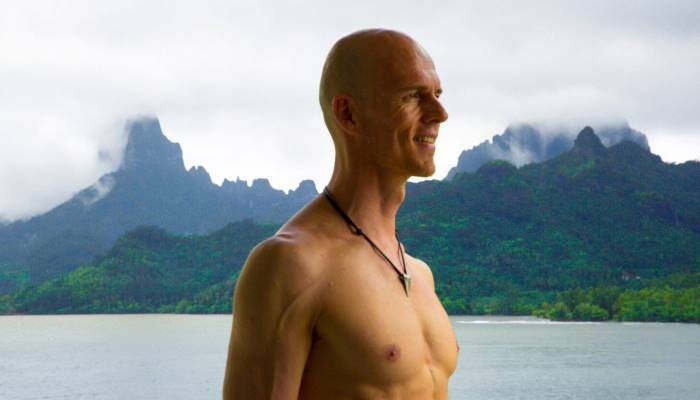 During this time he discovered and then started competing in Freediving. Nitsch’s incredible life went from 10,000m/32,808ft in the air to -214m/702ft below the waves. 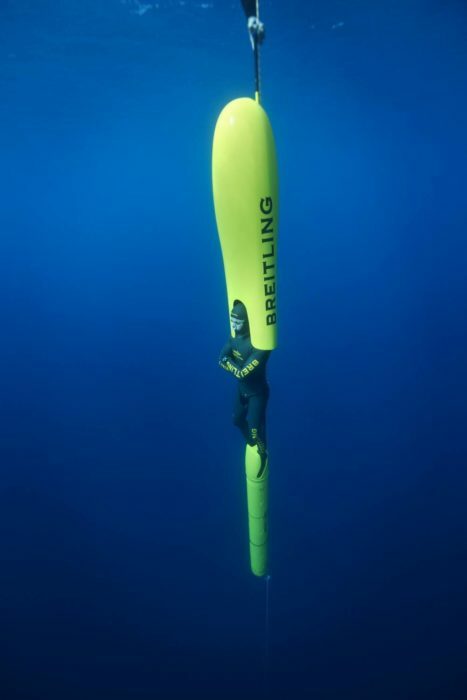 This depth is actually the No Limits (NLT) world record set by Nitsch in 2007. 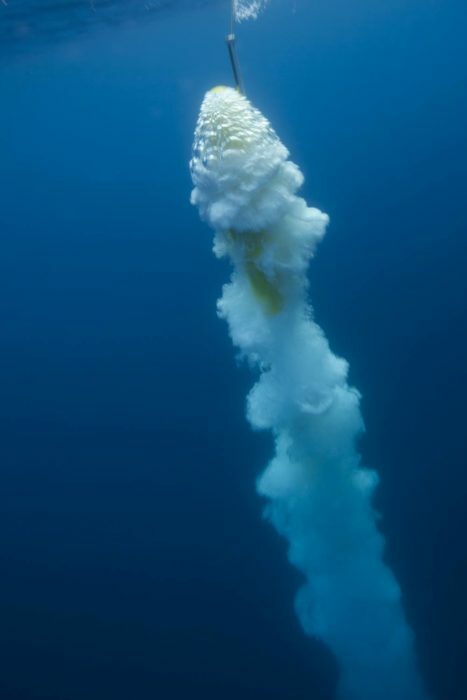 In 2012 the Austrian champion managed to dive at the amazing depth of 253.2m/830.8ft, and return…but something went very, very wrong. At the EUDI Show Herbert Nitsch presented the entire event of his 2012 attempt: an incredible story, at an impressive depth, with astonishing physical and technical preparation. In the preparation of the sled for his No Limits attempt at 244m (that was the initial depth set at 800ft), Herbert Nitsch had designed and studied a very technically advanced system to bring him down into the blue of the Greek sea, just off the island of Santorini. The speed at which the sled should have moved and the technical requirements indicated by Nitsch were not achievable and such sled was not possible to be built according to the engineers involved. The real difficulty was though on the production side, so the unyielding champion decided to build the sled on his own…and discovered it was actually possible and quite easy to work with carbon fiber as the base material. Incredibly enough, the sled turned out to be even faster than he wanted and so Nitsch added a special braking system, based on aeronautic technology, such as braking wings. In the end, the sled was perfectly working and had a number of backup solutions for any possible problem, all absolutely based on mechanical functioning and nothing linked to electronic systems. 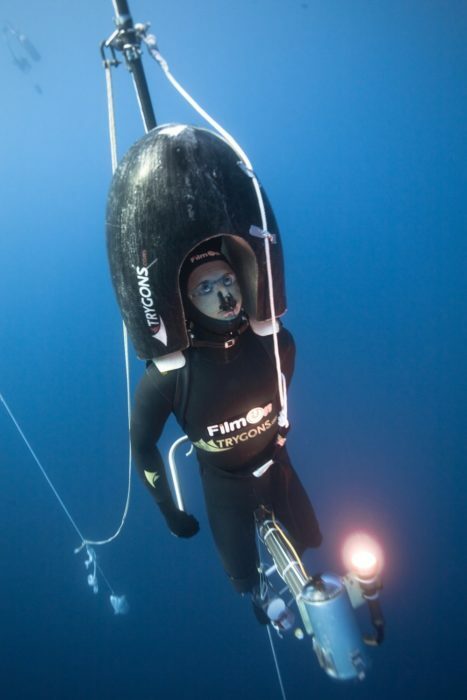 On the day of his attempt, the 6th of June 2012, all was set and the Austrian freediver was ready for his attempt. He “flew” down to 253.2m/830.8ft, gaining such a profound concentration, where the line between being awake and sleeping is extremely thin. Because of nitrogen narcosis and having reached the maximum depth, Nitsch fell asleep. Once gone almost all the way back to surface the sled stopped at 10m, as it should have, to permit Nitsch to start his decompression. At this point he should have exited the sled and started decompression for one minute at 10m, but he was asleep. This would have passed after a few moments, but the support team translated that into the possibility of Nitsch having blacked out because of a problem and, unfortunately, decided to bring him out of the sled and up to the surface. Once the Austrian champion woke up while still underwater (videos clearly show he grabbed the rope right above the sled) and understood the situation, he immediately decided to go back down at 10m on pure oxygen (which was a regular after-dive safety procedure)…but it was too late. 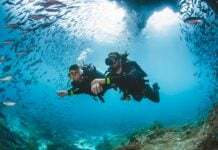 At 10m the decompression on O2 did minimize some of the immediate symptoms of decompression sickness but not all (DCS symptoms can appear up to 24 hours after a dive). Nitsch lost all feeling in an arm and a leg, and understood only salvation was to start a recovery process out of the water. He indicated that to the support team and they immediately organized the rescue procedure for a DCS (Decompression Sickness) accident and set the emergency response in working. Even though as quickly as possible brought to Santorini with the boat and then to the hospital in Athens, Nitsch actually ended up in a coma for 7 days, and when he woke up the doctors’ diagnosis was he most probably would be in a wheelchair for his remaining life…but he was determined that that was not going to be the case. With an exceptional will and determination, Nitsch left the long-term care facility and decided to do recover with his own strength and through his personal and unmatchable knowledge of his body. After six months on a wheelchair, Nitsch managed to start walking again thanks to specific exercises, mental training and a diet, which eliminated all harmful and toxic food, such as sugar, white flour, milk/cheese and meat. Today Herbert Nitsch walks and freedives again, and was at the Y-40 Open Day event, together with his friend and freediving champion Umberto Pelizzari. Writing a book, designing boats and a submarine system – the Austrian champion is always full of energy both physical and mental. He says today he feels good, that his recovery has been a slow process, but he is happy with the results. 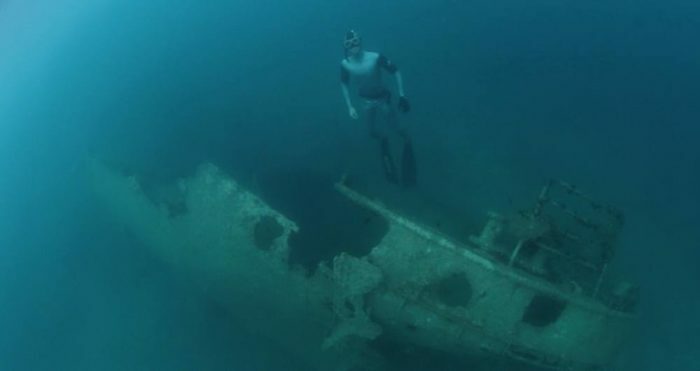 He says he feels he is at 90% of physical performance on the ground and 100% underwater where, incredibly enough, he does not have any limitations, he instead feels outside of the water.  Freediving, he says, is always the solution that makes him feel better, and the sports he still loves to practice professionally, but will no longer participate in any competitions. It is the way Nitsch loves best, just to be in the water, almost fly in it. Some situations are almost magical, he says, such as descending the steps of a sunk ship, when you really feel as if you flew down instead of walk. 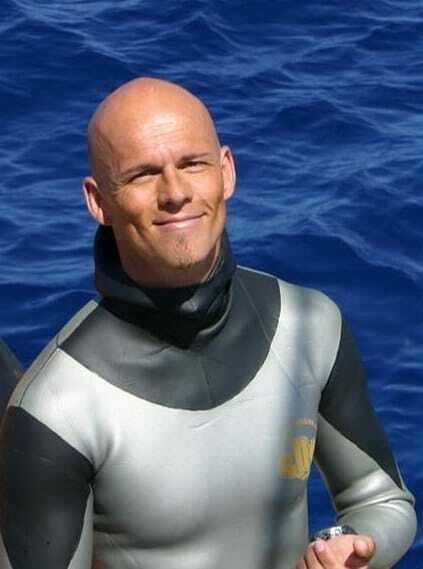 Apart from practicing freediving, which is his life, he is writing an autobiography, which he has been asked several times to do in the past and has finally accepted. The book is almost ready and will be published hopefully within a year. But that’s not all – Nitsch is also designing an oceangoing-eco-boat, more precisely a catamaran, in carbon fiber, and also a submarine system to further explore the oceans at large.